We accept all Alliance Races! 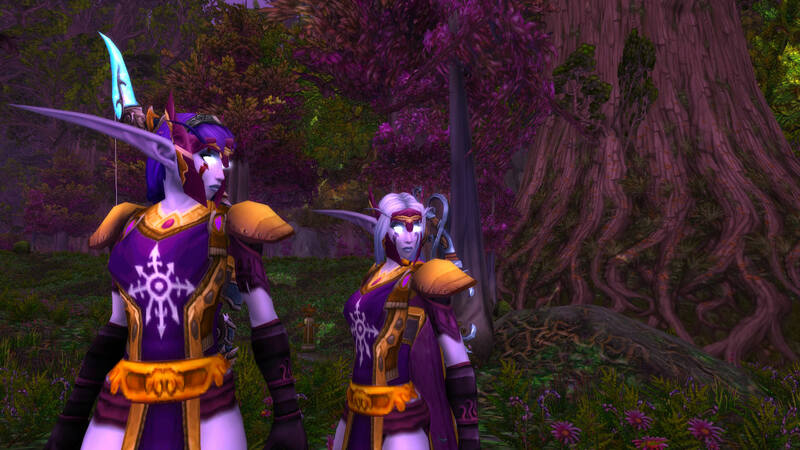 However we are primarily a Night Elf guild. Leadership is Kaldorei. What is The Hundred Glaives? Who knows what advances the Legion will make. Our brave leaders Tyrande and Malfurion have called upon the Hundred Glaives once more. Will you be called to Kalimdor's defense and prepare yourself for the merciless onslaught that is surely headed Azeroth's way? Join The Hundred Glaives and find out. Lilliaana Silverleaf: Check your calendars, a lot of lovely members will be DMing. Silvania Frostwind: Your forum has officially been invaded by many dragonlings now. Lilliaana Silverleaf: Cross-guild events the 18th-23rd! Lilliaana Silverleaf: I hope everyone is having a wonderful day! Lilliaana Silverleaf: I'm not dead I promise. Lilliaana Silverleaf: I hope everyone is enjoying this xpac! Lilliaana Silverleaf: This is a reminder to please check your calendar for guild events. Lilliaana Silverleaf: Hello my fellow Glaives, get ready for Legion! Where would you like to see the Glaives fight outside of kalimdor?